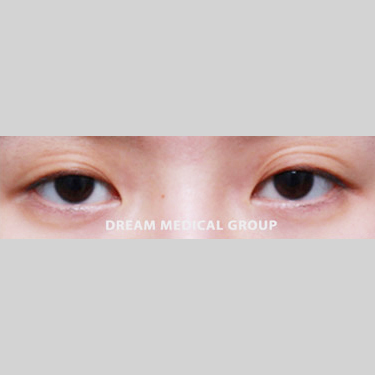 The 3D ST procedure involves Dream Medical Group’s most advanced non-incisional technique for creating a flawless double eyelid crease. The 3D ST procedure involves a novel suture technique that is part of the so-called “new generation” of suture techniques for its use of dynamic, biomechanically controlled technology. Prior to the improvements, the traditional suture method was often criticized for a couple reasons; it was often limited to patients with eyelids with thin skin or adequate strength in the eye elevating muscle, and sutures were frequently prone to loosening in the eyelid skin. Furthermore, the traditional method implemented very static, two-dimensional methods which only gave control of where to place the crease. Obviously, every eye is unique in that it has its ideal type of crease – the height of the crease alone cannot achieve the best eye shape for a patient. 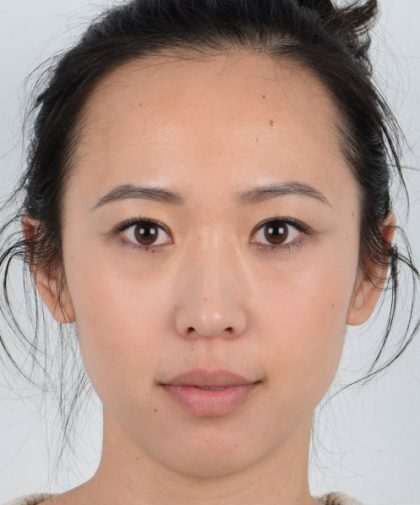 In this sense, the new technique gives control over several other important factors that achieve a higher balance between one’s eyes and overall face shape. The procedure uses minimally invasive operations to avoid visible scarring. The 3D ST procedure was devised and perfected after years of intense research conducted by Dr. Kim (Dream Medical Group’s Director of Technology and Scientific Advancement) and Seoul National University graduates of Dream Medical Group. Together, they analyzed the underlying eyelid tissue, and determined the maximum stress tolerable for each individual tissue. This method, coined VPM3 for Vector Per Millimeter3 as a scientific measuring unit for force per volume, contributed greatly to the 3D ST procedure. The 3D ST procedure is truly state-of-the-art, as it involves an unprecedented engineering application and sound scientific analysis. Furthermore, it uses minimally invasive operations to avoid visible scarring, per tradition of Dr. Kim and other members of Dream Medical Group. It has become a very popular procedure in the Korean media, and has also been performed on many Korean celebrities. The 3D ST procedure has become proprietary to Dr. Kim and Dream Medical Group. 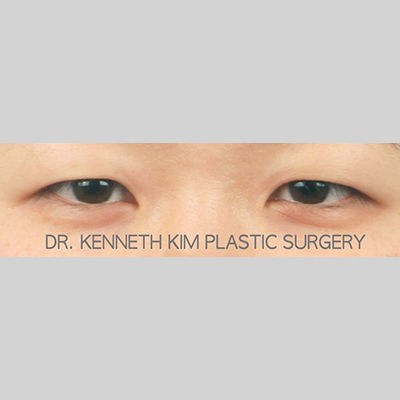 The 3D ST procedure is renowned in South Korea for its dynamic results that mimic the natural double eyelid crease. The muscle tightening combined with a complementary crease results in refined eyes that exude alertness, femininity, and unique character. Figures 1 and 2 represent a patient who received a 3D ST procedure from Dr. Kim. Prior to the operation, this patient had weak eyelid muscles that could not bear the load formed by a traditionally made crease. 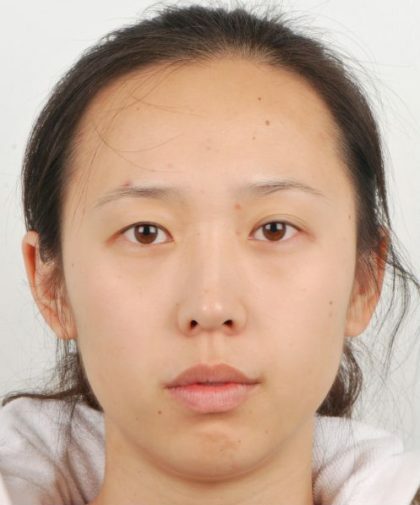 If she had undergone a traditional suture technique, her eyelids would have drooped due to the physical burden, putting her eyes off proportion and aesthetic balance. Figure 1. Before operation. Outer eyelids are depressed, and the eyelashes point visibly downward, obstructing the white aspect (sclera) of the eyes. The color aspect (iris) is also obstructed, making the eyes appear crowded and flat. Figure 2. After operation. Outer eyelids are subtly lifted due to the double eyelid crease, and the eyelashes obstruct less of the white aspect. The color aspect is more visible as well, due to the strengthened eye-elevating muscles. The tightened muscles literally open the eyelid past its original capacity, exposing more of the sclera and iris. Figures 3 – 6 show the results of a patient who underwent corrective surgery via the 3D ST procedure with Dr. Kim. This patient had undergone a traditional suture technique with another surgeon prior to the 3D ST procedure, and was seeking revision. The patient’s eye-elevating muscles were too weak to bear the load created by extra fold of skin; chronic swelling caused excessive fullness in the eyelid skin, and weak definition in the crease. This patient’s right eye consequently manifested ptosis on the outer aspect as well. A 3D ST procedure was completed to tighten the patient’s eye-elevating muscles, and to recreate a suitable crease according to the eyelid skin thickness. Figure 3. Before operation, frontal view. The outer eyelid is depressed due to the excess load of the crease. This was a result of a traditional suture technique performed on a patient with insufficient power in the eye-elevating muscles. The 3D ST procedure was subsequently performed, which included eyelid muscle tightening procedures. Figure 4. After operation, frontal view. The 3D ST procedure was performed to tighten the patient’s eye-elevating muscles, and place new sutures. The eyes appear much more alert and feminine. The outer eyelid is no longer excessively depressed, and the crease is much more balanced in its depth and fullness. Figure 5. Before operation, side view. The upper eyelashes droop downward due to the excessive load placed on the eye-elevating muscles. The eyes appear downcast and only partially open, yielding a tired, dull character to the patient. The crease is visibly thick and full, and the skin protrudes outward. Figure 6. After operation, side view. The upper eyelashes no longer droop, and the eyelid skin is much more uplifted. There is no visible burden of excess load that used to protrude outward. The crease is much more defined, and yields a sharper, more alert demeanor to the patient. These results demonstrate the power of the 3D ST procedure – its ability to lift the eyelid by muscle tightening rather than simple suture fixation, and create the ideal eye shape and size. The double eyelid crease possesses a recoiling effect as the eye opens and closes, appearing realistic and dynamic. Its speed of formation increases as the eye opens, which emulates the movement of a natural crease. Although subtle, this dynamic movement of the crease is significant – it is the main distinction between just a crease, and a crease that is complemented with the correct eyelid shape and muscle function. As described, the 3D ST procedure applies advanced technique and scientific innovation to deliver supreme results. The double eyelid fold appears more natural, and has a decreased likelihood of loosening, compared to other suture techniques. The 3D ST procedure has yielded surpassing results for patients with a diverse range of eye shapes and conditions. 3D ST™ is the latest, most innovative suture technique for double eyelid surgery that mimics the natural Asian eyelid fold in anatomy and functionality. 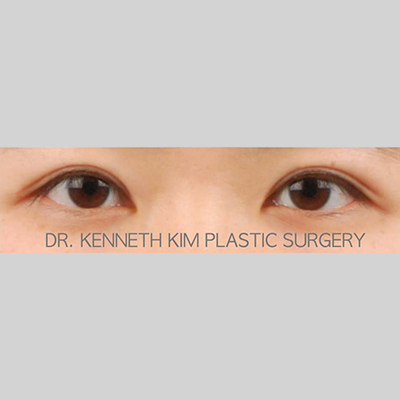 3D ST™ is performed exclusively by Dr. Kenneth Kim, innovator and patent holder of the 3D ST™. Unlike the previous suture techniques, 3D™ allows for deeper crease formation as well as improved functionality of the eye muscle. 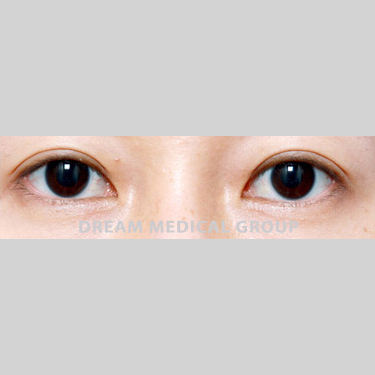 Traditionally, surgeons performed ptosis correction procedures by opening eyelids anteriorly by making an incision directly on the eyelid, which allowed surgeons to only perform an incisional method for creating the double eyelid crease. Even though patients may have had ideal thickness and eyelid tissue composition for suture technique, they may have had ptosis that forced them to choose the incisional technique. The recent advent of the 3D ST™ allows the surgeon to create double eyelid crease with suture method while also correcting ptosis (Refer to Ptosis Correction Surgery). 3D ST™ considers three significant factors in creating truly attractive, natural looking eyes: the shape of the eyelid curvature, the depth of the crease, and the fullness of the double eyelid crease. The curvature shape of the eyelid is crucial in altering the character of a person’s face, such as enhancing a sense of alertness or youth. The harmonizing depth of the crease is also important, since a shallow crease can appear too soft and unnoticeable while deeper depth appears harsh and unnatural. The fullness of the crease is a measure of how distended the skin appears within the crease. Attaining balance of the fullness is also crucial in creating a natural crease and bigger eyes. These three factors have dramatic effects on the appearance of a patient, as any distortion in one of the factors can result in an unnatural eye appearance. 3D ST™ allows the surgeon to have control over all three factors, and it can also be used for revision procedures to achieve all three factors.